Almost a month ago I mentioned that I'm participating in the Bead Peeps Swap N Hop. Bead Peeps is a Facebook group hosted by Linda Anderson of Cherry on Top Designs. My partner (Kari Asbury) and I both just received our beads so I'm ready to show off both sets. Let's start with what she sent me. Check out that variety!! Okay, okay. I know that's not the best picture. Better ones are below! 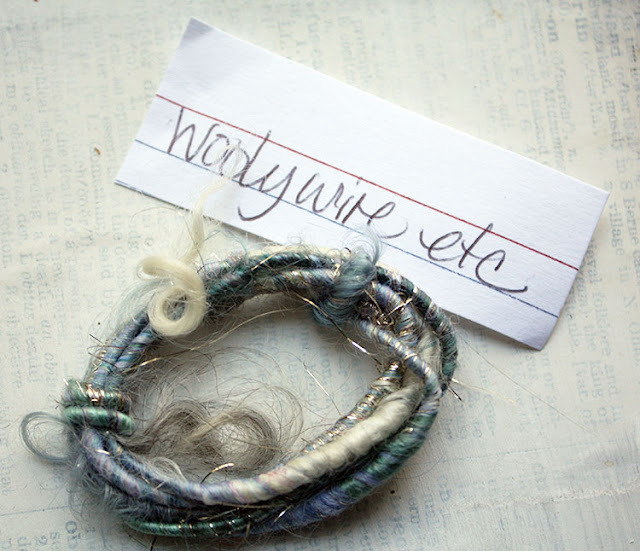 Kari sent me a wonderful mix of beads and artisan components. 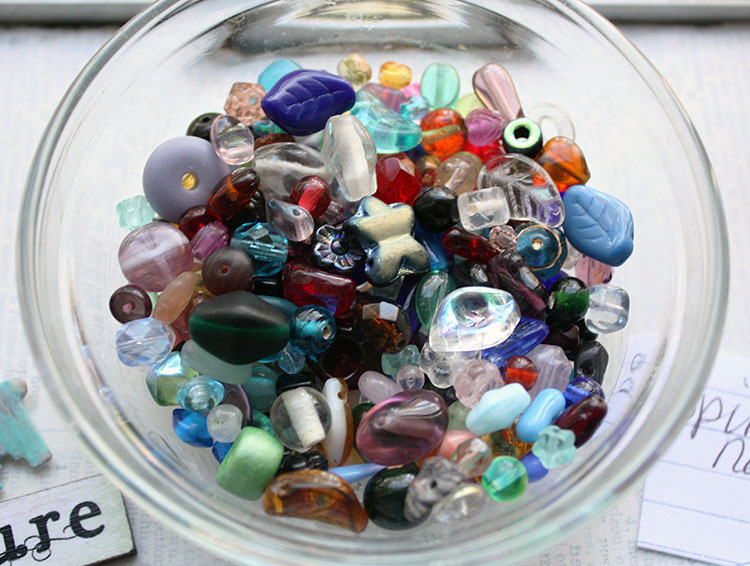 First, these was a baggie of gorgeous mixed glass beads. A couple of beads and a button from Gaea. Drool! 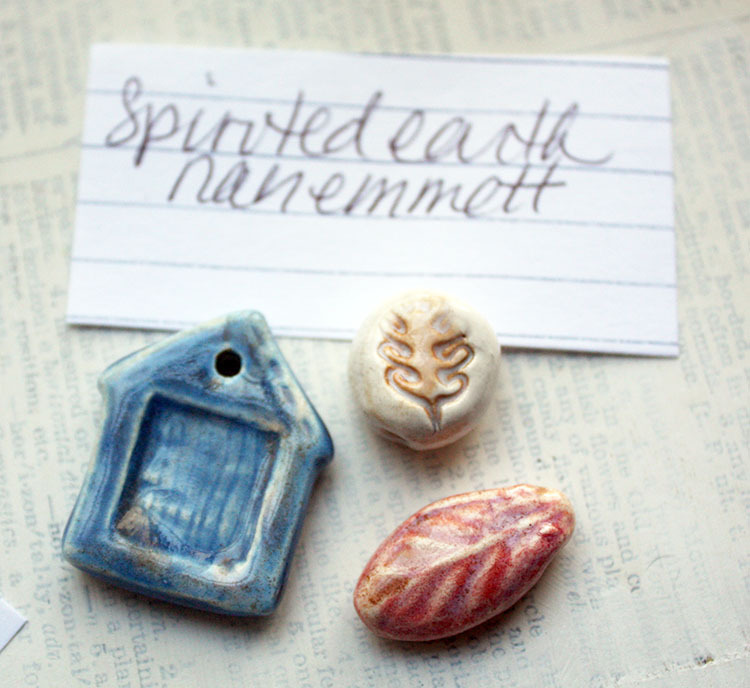 These pretties from Nan Emmet of Spirited Earth. 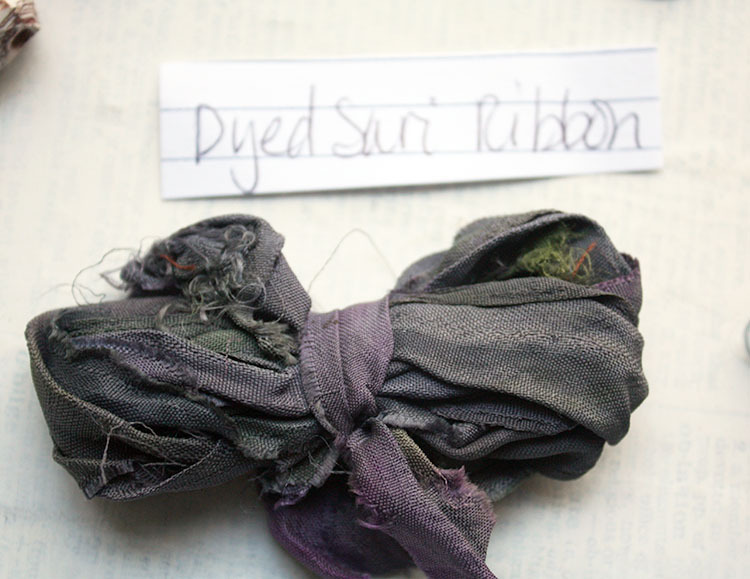 Some luscious dyed sari ribbon. 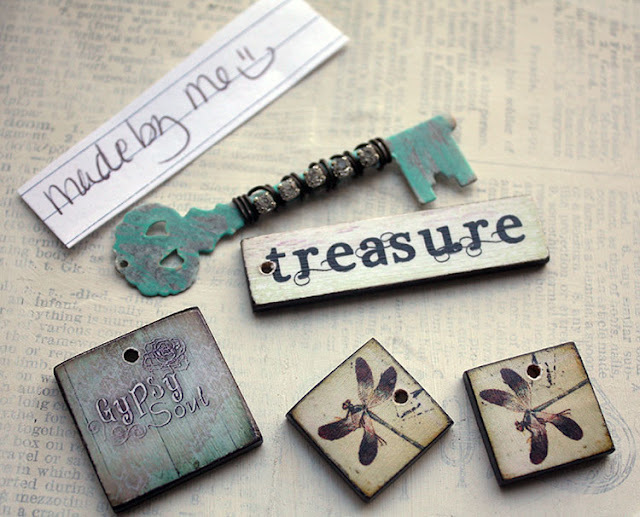 And, finally my favorite pieces - the ones Kari made herself!! Look at that KEY! Here's the whole group again. I'm itching to get started with these goodies, but can't even decide where to start. She spoiled me so. THANK YOU Kari for an amazing set. Oh, and here's what I sent her. The main, artisan component is the altered crown from Dry Gulch Beads. The rest of the goodies were either from my stash or bought new from a local bead store. 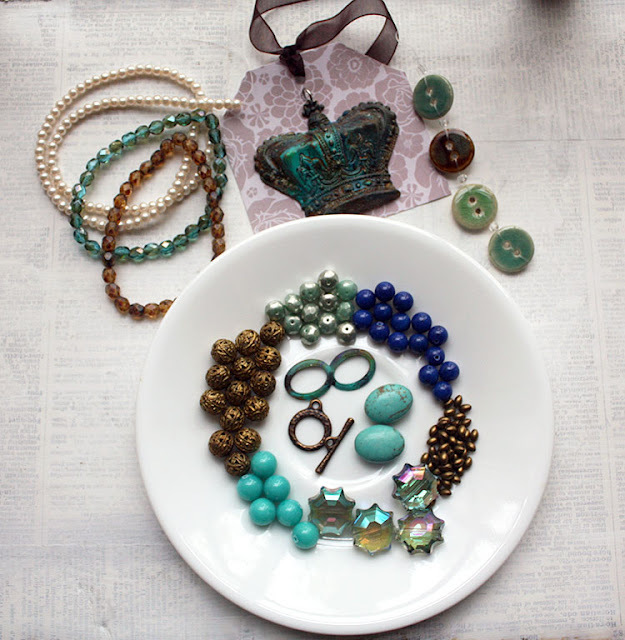 I explained to Kari that I went with the crown because Mardi Gras was going on while I collected these bits for her. I'm from (and now live across the bay from) Mobile, AL - the original home of Mardi Gras in the US. So, a crown felt fitting. As well, I'm also on the Gulf Coast so the blue-greens also felt right to represent my area. In laying out the swap, Linda suggested that we keep a duplicate of the beads we send in order to play along with our partners. I did just that. So, I have two challenges ahead of me. I'm looking forward to them both. 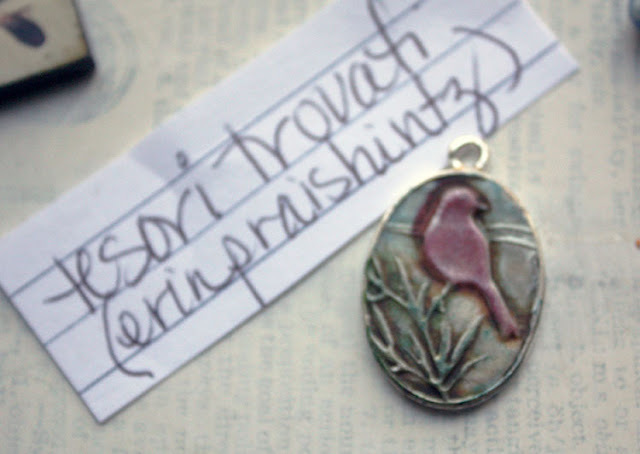 Make sure to follow Kari on her Instagram as KariAsburyJewelry as well as on her Kari Asbury blog to see what she has to say about the swap. And, make sure to stay tuned for the reveal on April 8th. GREAT Swaps, ladies! Can't wait to see what y'all make! 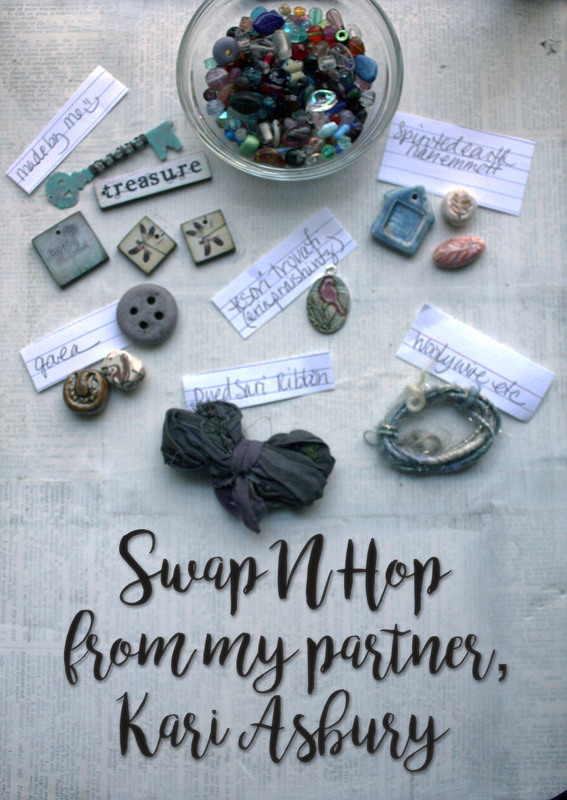 I love taking a look at other people's swaps :) Can't wait to see what you two make! Wow! 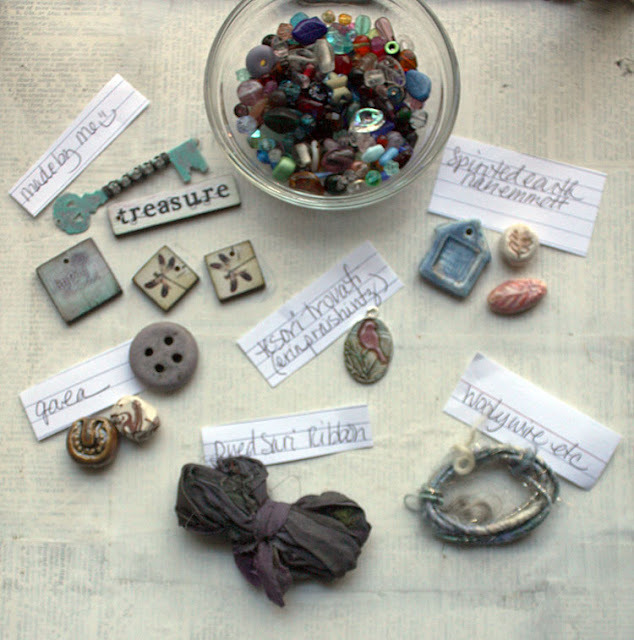 What amazing beads you have to work with, for both challenges! Can't wait to see what you make! Rochelle, I definitely lucked up. And as for the beads I sent, I made sure it was something I liked too. Now to get down to work. Eek! Thanks for stopping by! You are going to have a lot of fun! Love the key and the crown! Hey, I was thinking about giving you some of my crafting stuff, I have to start downsizing, cleaning out my craft supplies and decluttering. Would you be interested in a box of random jewelry, tiles, beads, glass baubles...? Maybe we could meet for lunch one day later this month and I could bring it to you? You got some great items that look like your style. Lucky you! Ha! I guess I did Kathy. The challenge though is forcing myself to actually get something made with them instead of hoarding them away. :) Thanks.